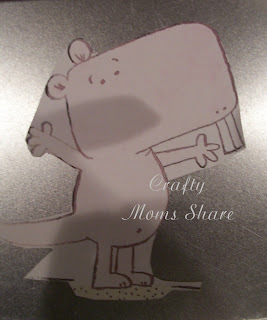 We had so much fun reading Mo Willems books, that I have to say we were inspired to do several different crafts. It was hard to choose just one book. You may remember on Monday we shared our Piggie and Elephant masks, which of course can work with any of the Piggie and Elephant books. 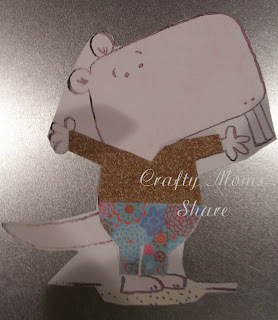 Hazel's favorites seems to be Elephants Cannot Dance and I Will Surprise My Friend. 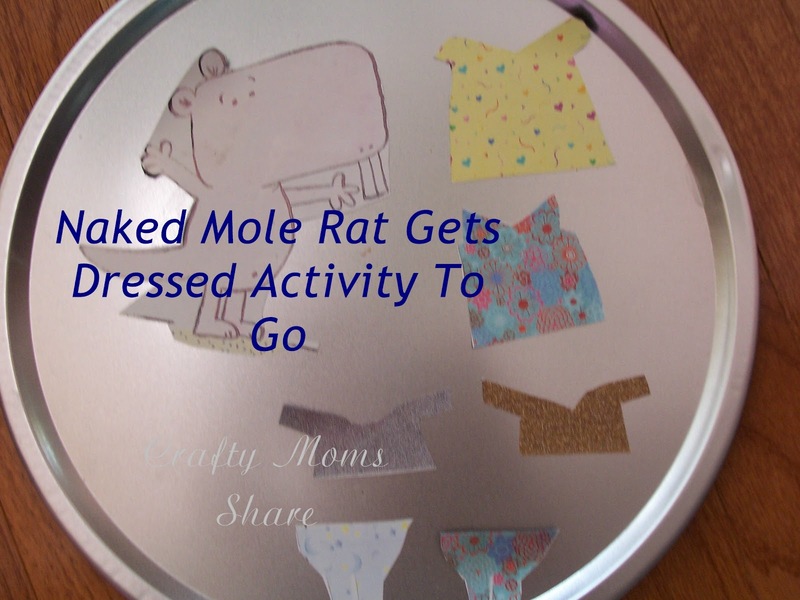 Well we read Naked Mole Rat Gets Dressed. 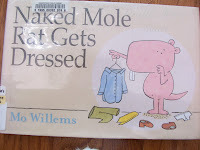 This story is about a naked mole rat who likes to wear clothes. 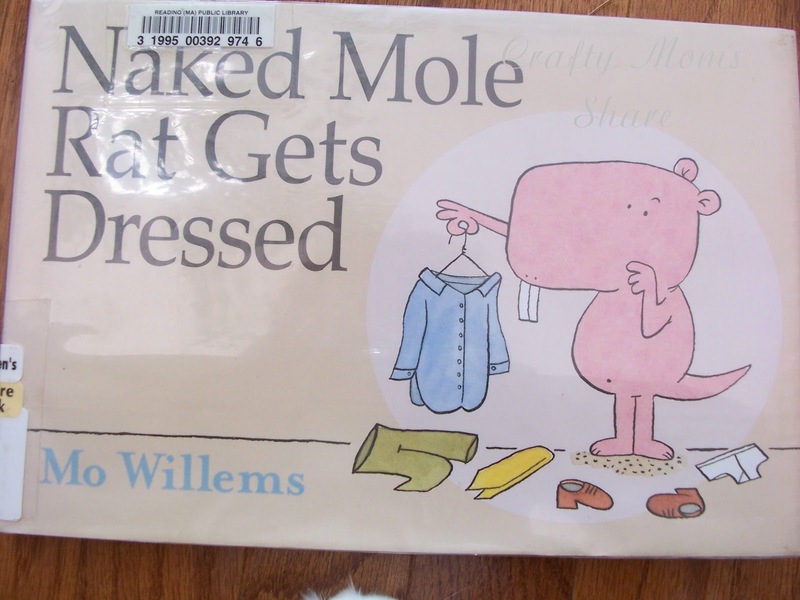 The other naked mole rats tease him and are horrified at the idea of him wearing clothes. They go talk to the oldest and wisest naked mole rat who calls a meeting to announce that any of them should be allowed to wear clothes if they want and then it no longer matters whether they are clothed or not. Well I thought of magnetic paper dolls with this story. (It may be since we were about to take a two-hour car ride to visit my parents and this is the perfect activity for it.) So I enlarged one of the naked mole rat pictures from the book, and I cut some clothes from scrapbook paper to fit the enlarged figure. 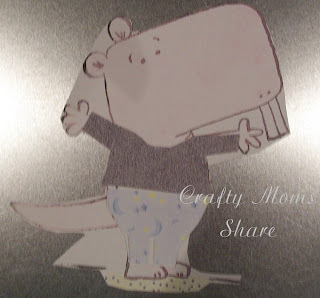 (I hand sketched them on a paper on top of the enlarged picture and cut patterns.) 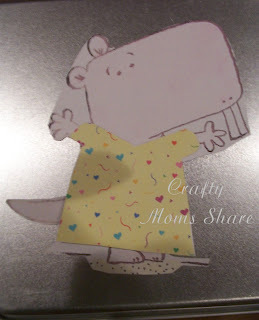 I glued these cut clothes to the enlarged figure paper and copied it onto the magnetic page (which I got a Ocean State Job Lot for $1 or something for three different sheets). Steve cut the magnets out for me since I was too busy trying to get ready for our trip. I picked up a metal pizza pan (they didn't have any baking pans) at the Dollar Tree for her to use this on. This is something she can bring with her in the car or play with at home. Overall, a good activity! Next month's author is Don and Audrey Wood. You can start reading their books and thinking of activities so you can share!! 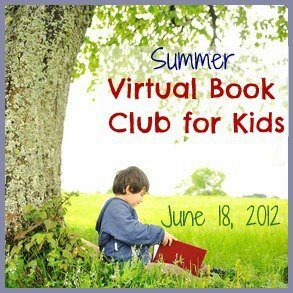 To see the list of blogs hosting The Summer Virtual Book Club for Kids go here. Great book! 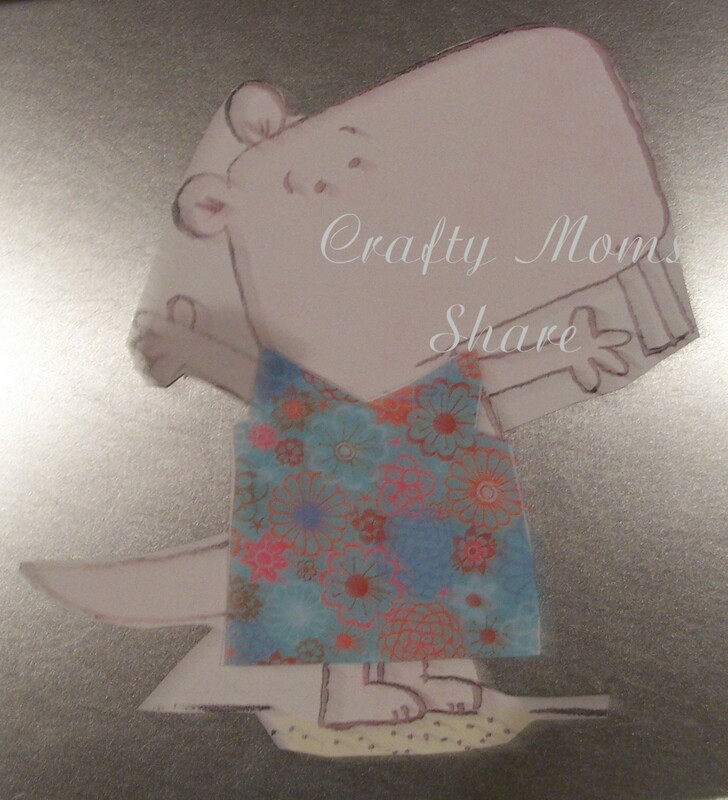 We just read this one today! Love the magnets!!! What a wonderful wardrobe the rat ended up with! This post is being featured on Read.Explore.Learn. tody!